Very quietly and with no fanfare or hoopla, OSHA enabled a new database search capability that permits you & I to see a high level view of the workplace accident and injury data of any US-based business. The story was lost in the buzz about Apples’s new iPad, The State of the Union Address, and Super Bowl hype. Our ERGOLAB team was thrilled to see this information made public; our Ergonomic practice (www.ErgonomicEdge.com), is part of an Environmental Health & Safety firm (www.PisanoAssociates.com). Injury and accident results are the fundamental metrics we use to gauge Health & Safety program success. These numbers are our report card. So…you’re probably thinking, this data has been collected for years and search technology is nothing new. Why is OSHA making this data available and visible? Why now? Throughout the presidential primaries and general election, the Obama team positioned themselves as Washington outsiders, intent on driving CHANGE . No more business as usual. The word transparency made its way into every stump speech. The promise, no more meetings behind closed doors, no more cloak and dagger. The American public has the right to know what it’s government is doing; the Obama Presidency would be different. “Making injury and illness information available to the public is part of OSHA’s response to the administration’s commitment to make government more transparent to the American people,” said David Michaels, assistant secretary of labor for OSHA. Politics or not, OSHA’s move is a good one. A fundamental principle in the military, where a dropped assignment can translate into lost lives. Behavior is the function of its consequences. In the regulatory world, the Environmental Protection Agency is high trump. When the EPA is mentioned to a business owner or executive, the response is action and urgency. Why? The EPA’s inspection and enforcement arm is swift and punitive. Companies operating outside of regulatory compliance will pay dearly for that state. EPA non-compliance is a game changer, and businesses know it. The EPA gets what they inspect. OSHA is taken less seriously; companies all across the country ‘whistle past the graveyard’ specific to workplace Safety & Health regulations. OSHA’s inspection arm has historically been under-staffed and reactive. The new administration has added inspectors and is working towards a proactive model, however that change will take time. So…why did OSHA give you searchable access to this data? You have been deputized. OSHA has just deputized millions of citizen inspectors all across the country. You can become the eyes and ears of OSHA. What’s the first thing you’ll do? Check out the track record of your employer, your spouses’ employer, the record of the company down the street. OSHA wants YOU to inspect for them, extend their reach. 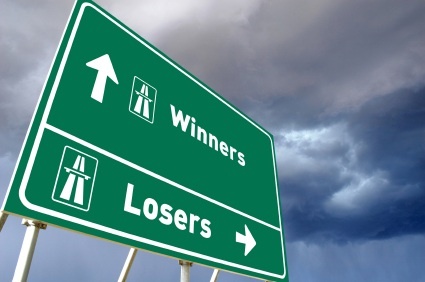 In the world of public pressure and scrutiny, there will be winners and there will be losers. Company A and Company B both manufacture windshields and are located in the same small town. Company A has embraced workplace Health & Safety as a driving principle of their company. Company A employs Health & Safety professionals; program management is proactive and audited regularly. Company A employees participate in periodic training sessions, Safety is a part of their job responsibilities, they are bonused upon their contributions to a ‘Safer’ workplace. No surprise, Company A has a spotless accident and injury record. The entire company takes pride in this performance. Company B takes a more lax approach to Health & Safety. Program ownership resides in many different places in the business; no professional Health & Safety staff works at Company B. Company B’s employees don’t participate in regular Safety & Health training, the only communication they get are a few posters on the team room wall. Company B addresses issues after there is a problem, their accident and injury record is very poor. You are looking for a job – both companies have offered you a position. Which offer will you accept? After researching the company, searching their accident and injury history, you select Company A. Why? Employees want to work for a company that values their health and well-being. A corporate buyer, you are looking for a new supplier of windshields. Which company will become your new supplier? The buyer will also select Company A. In business, the old axiom, ‘You are the company you keep’ applies. A company’s supply chain is sacrosanct; Company B’s practices would reflect negatively on the corporate buyer’s organization. Why take that risk? Company’s in good standing will be rewarded for their work; companies with poor track records will lose employees and lose contracts. OSHA is relying on public scrutiny and action to drive change. OSHA won’t need thousands of new inspectors; they’ll let the market drive change. We’d love to get your point-of-view on OSHA’s new approach. Drop us a line.